But this cultural exchange has been, for the most part, a one-way affair. America assembles movies and ships them to China, and China assembles merchandise promoting those movies and ships it back to America. Repeat. But an L.A.-based production company is hoping to reverse that trend, and is partnering with a Chinese production company to produce a “blockbuster retelling” of the tale of the Monkey King, whose adventures are familiar to every Chinese schoolchild. Originating in the 16th-century novel Journey To The West, The Monkey King is a trickster figure who eats a magical peach and becomes immortal, causing trouble for various deities until the Buddha traps him under a mountain. 500 years later, he is freed by the monk Xuanzang, with whom he goes on a quest to retrieve Buddhist sutras from India. The tale of the Monkey King has been the subject of numerous film and TV adaptations in both China and Japan; earlier this summer, the animated movie Monkey King: Hero Is Back was a big box-office success in China. But none of these adaptations have made much of an impression in the U.S. (In the U.K., a dubbed version of the Japanese series Saiyuki—known colloquially as Monkey Magic thanks to its funky theme song, which is embedded below—aired on TV in the late ’70s and early ’80s and has become a cult classic as a result.) The producers of the new film are trying to change that, first by hiring Thor: The Dark World and Thor: Ragnarok screenwriter Christopher Yost, a man who knows a thing or two about myth-making, to write the screenplay. Lord Of The Rings effects artist Richard Taylor has also been hired to design the look of the film. 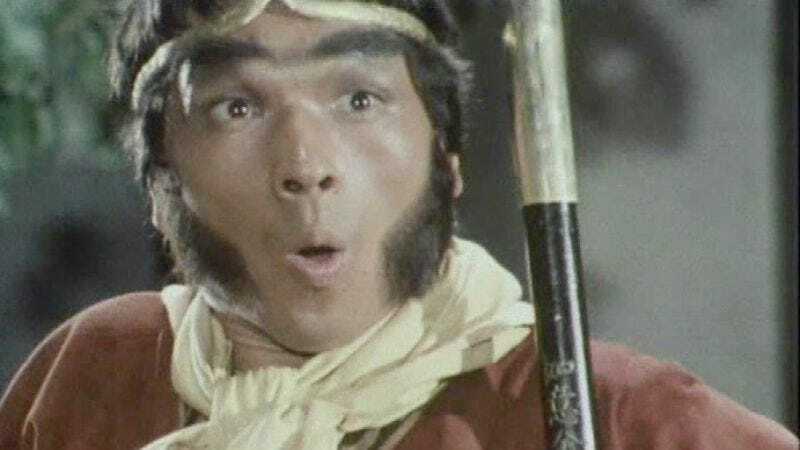 No director or stars have been hired as of yet, but episodes of the ’70s TV Monkey can be found on YouTube for those who want to say they were into Chinese folktales before they were cool.